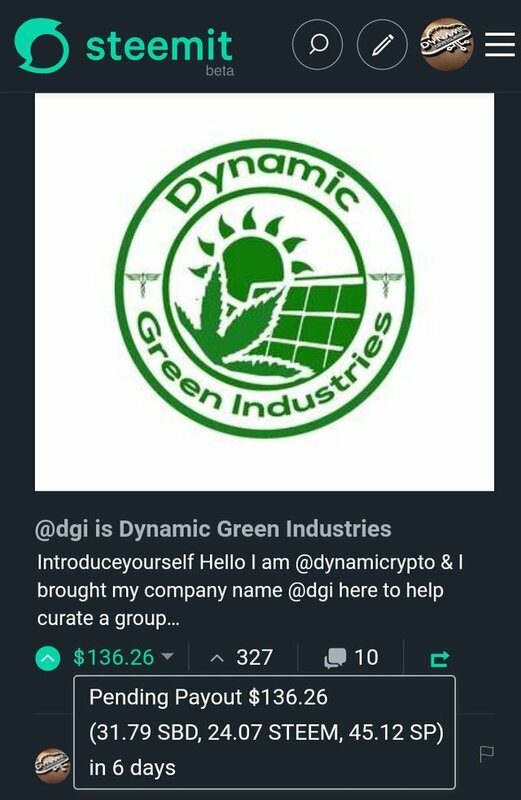 Hello I am @dynamicrypto & I brought my company name @dgi here to help curate a group created by Taelor aka @dynamicgreentk that helps educate minnows called @dynamicsteemians. Curation trail members and ambassadors currently earn @dgi upvotes. (as more join the trail the ambassadors & I get less votes). I delegate myself & lease the SP (steem power) via @minnowbooster. As you can see from my last post click here I give you transparency and upvotes for your help in supporting minnows growth as well as this list from that post. Joining the trail earns you 0.01-0.03 upvotes daily on your posts from @dgi. Some trail voters will get 100+ votes from the trail depending on quality of content. You can still vote like normal, you can put the trail at 10% so you can vote as usual. Some support the trail and earn curation income by voting 50-100%. By voting on this curation trail you support minnows, good content, steemit growth & retention! 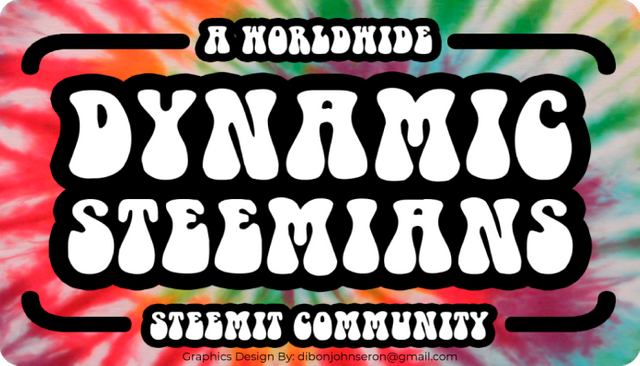 @dynamicsteemians has a discord with free steemit learning as well as sharing other great discord groups that help minnows. Here you are taught how to gain more followers & upvotes. Want more transparency? You can also see more delegation info via this post.. Notice the change in less than a week? This screenshot is todays incoming delegation. All Steem earned from this post will be utilized to power up & lease more SP from @minnowbooster to upvote more steemians, the SBD's will go to repay promotion costs and any remainder to lease SP. How many upvotes does one get for 2 SBD? What is "green" about your business? 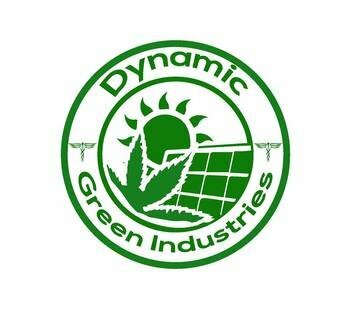 Everything, from bio-dynamic notill gardening to medicinal plant production & processing. We even started mining cryptocurrencies but not running machines except testing until solar panels are installed. This post received 0.72 SBD upvote from @tipU funded by @dynamicrypto | @dgi now has a chance to win free @steembasicincome share :) | Voting service | For investors. Want to see how much goes to support minnow upvotes? 31.8 SBD sent to me as I pay for all @dgi delegation & promoted this post. Thank you for supporting minnows with your upvote & resteem friends! I'm excited about this and wish you luck.